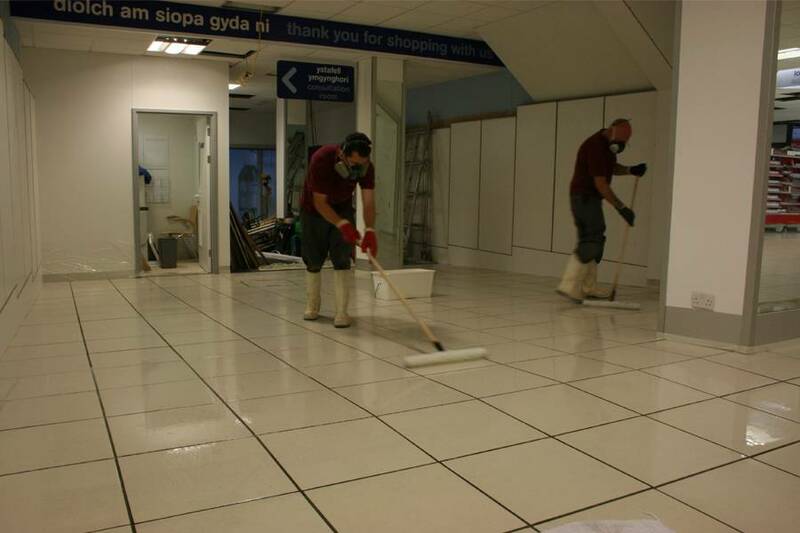 We were approached by Boots the Chemists to provide a solution for a large pharmacy floor in Aberystwyth where the ceramic tiles displayed a possible slip hazard, the store was undergoing a complete refit programme so it required a swift turnaround before it was open to the public. Beaver Floorcare attended site and carried out a pendulum test on areas of the floor and it was recorded below 20 on the PTV scale, this proved the floor was unsafe when wet and required an anti slip floor treatment to increase the slip resistance of the tiles. We tested 3 different slip treatments at the request of the architect, one was an acid etch, the second was a moisture reactive treatment and the third was a topical anti-slip PU treatment by Dr Schutz. After the trials were completed and results were passed to the client, the onsite architect specified that we used an acid etch across the whole floor. We provided the specification and insisted that an impregnating sealant must be applied after the treatment to assist with the daily cleaning and ongoing maintenance of the floor to prevent dirt ingress, this is common with floors that have been acid etched and not sealed afterwards. Beaver Floorcare sent a team of 5 engineers to fully acid etch, impregnate the floor using Protect Guard HD and pendulum test the floor afterwards to record the results. The floor was broken down into manageable sections and etched using Lantania Grip, this had a dwell time on the surface tile of 8 minutes before removing and rinsing, after all the floor was etched a full rinse of the floor took place. 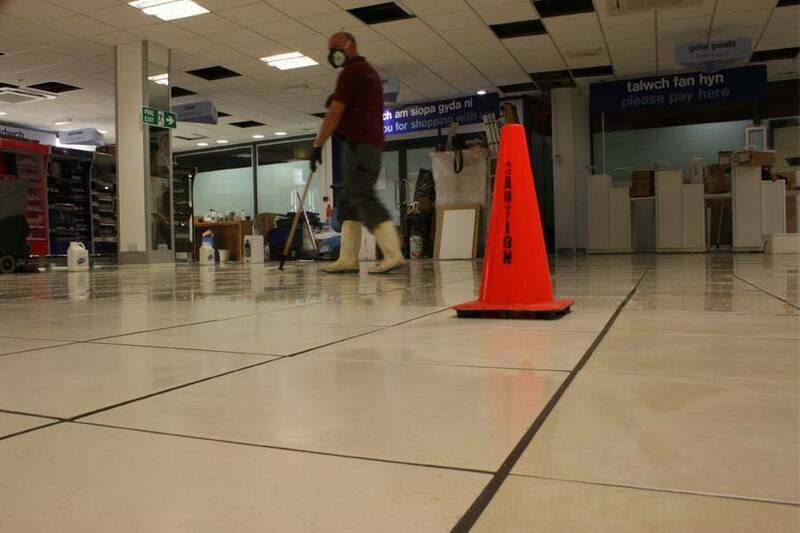 Once the floor was fully dried we applied Protect Guard HD to protect the surface and assist with the cleaning. The floor was over 36 PTV and passed the Pendulum Test before being handed over to the client who was delighted with the appearance and the slip resistance results.